Why Do Low Paying Slots Symbols Come Up So Much? 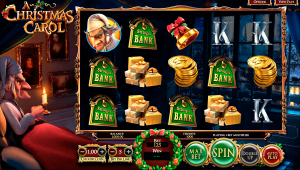 As slots players, we look for high paying symbols that can lead to big prizes. Unfortunately, it seems that low paying slots symbols come up more than anything. It feels unfair that we see such a large volume of low paying icons compared to the high paying ones. But as you’ll read here, there’s a perfectly good reason why slot machines stop on so many low paying symbols. Every slot machine has a pay table, which shows how much each icon offers for winning combinations. For example, five kings might offer 1,000 coins while five court jesters will only pay 100 coins. Every symbol is programmed to have a certain number of “stops,” which essentially determine the odds of the game selecting each icon. The king symbol is going to have fewer stops than the jester icon, because it pays more money. And slot machines can’t just keep offering high payouts or else the casino will literally be giving away money. Slots use a random number generator (RNG) to determine wins. The RNG cycles through various number combinations that represent symbols. 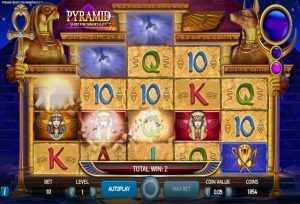 The RNG has no thought process, such as wanting to offer more low paying slots symbols or suddenly wishing to deliver losing payouts. Instead, the RNG is merely in place to ensure that wins occur randomly. These programs also select the symbols that have the most stops. Considering that low paying symbols have more stops than high paying icons, the lower paying variety gets chosen more. There’s no conspiracy afoot when you see lots of low paying icons. Instead, the game simply picks these more because it’s programmed to do so. That said, you should go into every slots game knowing that you’ll see an abundance of low prizes. ← Hit and Run Slots System – What Is It & How Does It Work?